(89) How can any one believe God? If he has learnt that all other things are changed, but that he alone is unchangeable. Therefore, God asks of the wise Moses what there is in the practical life of his soul; for the hand is the symbol of action. And he answers, Instruction, which he calls a rod. On which account Jacob the supplanter of the passions, says, “For in my staff did I pass over this Jordan”. 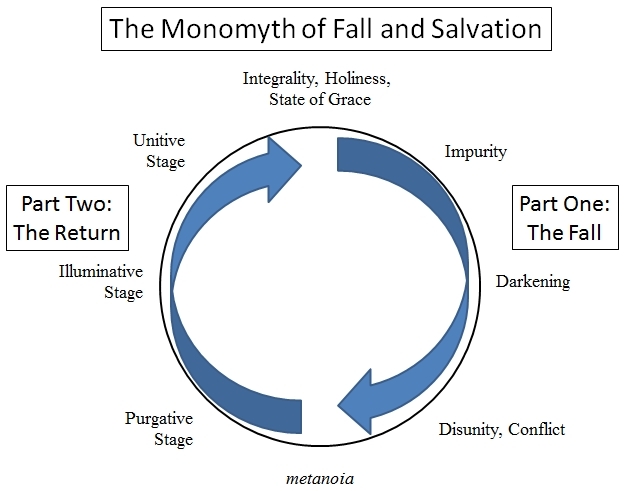 [Gen 32:10] But Jordan being interpreted means descent. And of the lower, and earthly, and perishable nature, vice and passion are component parts; and the mind of the ascetic passes over them in the course of its education. For it is too low a notion to explain his saying literally; as if it meant that he crossed the river, holding his staff in his hand. XXIII. (90) Well, therefore, does the Godloving Moses answer. For truly the actions of the virtuous man are supported by education as by a rod, tranquillizing the disturbances and agitations of the mind. This rod, when cast away, becomes a serpent. Very appropriately. For if the soul casts away instruction, it becomes fond of pleasure [philhedonos] instead of being fond of virtue [philaretos]. On which account Moses fled from it, for the man who is fond of virtue does flee from passion and from pleasure. (91) But God did not praise his flight. For it is fitting, indeed, for your mind, before you are made perfect, to meditate flight and escape from the passions; but Moses, that perfect man, ought rather to persevere in his war against them, and to resist them, and to strive against them, otherwise they, relying on their freedom from danger and on their power, will ascend up to the citadel of the soul, and take it by storm, and will plunder it entirely, like a tyrant. (93) but it will be in your hand, that is in the action of a wise man, which, indeed, is true. But it is impossible to take hold of and to master pleasure, unless the hand be first stretched out, that is to say, unless the soul confesses that all actions and all progress is derived from God; and attributes nothing to himself. Accordingly he, when he saw this serpent, decided to flee from it? 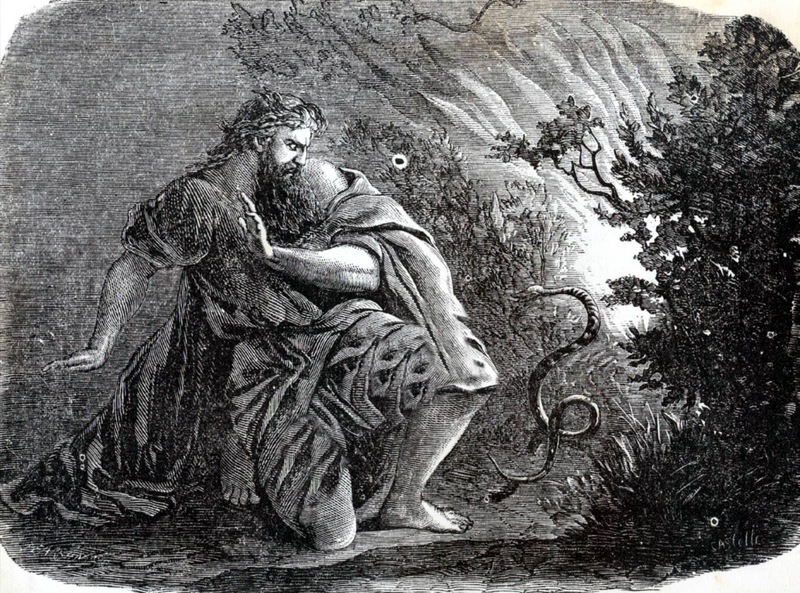 But he prepared another principle, that of temperance, which is the brazen serpent: that whosoever was bitten by pleasure, when he looked on temperance, might live a real life. Source: Yonge, Charles Duke. The Works of Philo. Complete and Unabridged, New Updated Edition. David M. Scholer, editor. Hendrickson Publishers, 1993. ISBN 0943575931. And it came to pass, when Moses held up his hand, that Israel prevailed: and when he let down his hand, Amalek prevailed. 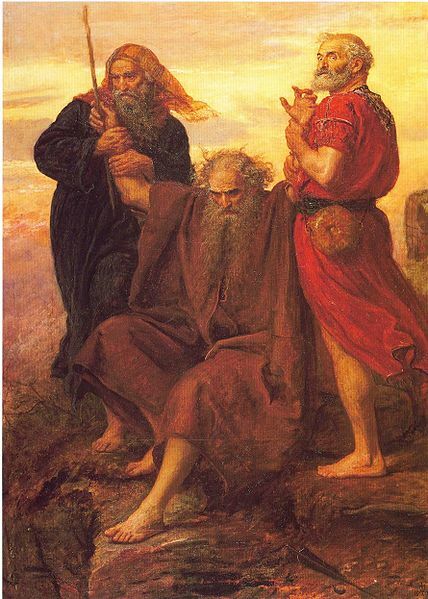 But Moses’ hands were heavy; and they took a stone, and put it under him, and he sat thereon; and Aaron and Hur stayed up his hands, the one on the one side, and the other on the other side; and his hands were steady until the going down of the sun. (217) And just as the two armies were about to engage in battle, a most marvellous miracle took place with respect to his hands; for they became by turns lighter and heavier. Then, whenever they were lighter, so that he could hold them up on high, the alliance between God and his people was strengthened, and waxed mighty, and became more glorious. But whenever his hands sank down the enemy prevailed, God showing thus by a figure that the earth and all the extremities of it were the appropriate inheritance of the one party, and the most sacred air the inheritance of the other. And as the heaven is in every respect supreme to and superior over the earth, so also shall the nation which has heaven for its inheritance be superior to their enemies. (218) For some time, then, his hands, like the balances in a scale, were by turns light, and by turns descended as being heavy; and, during this period, the battle was undecided. 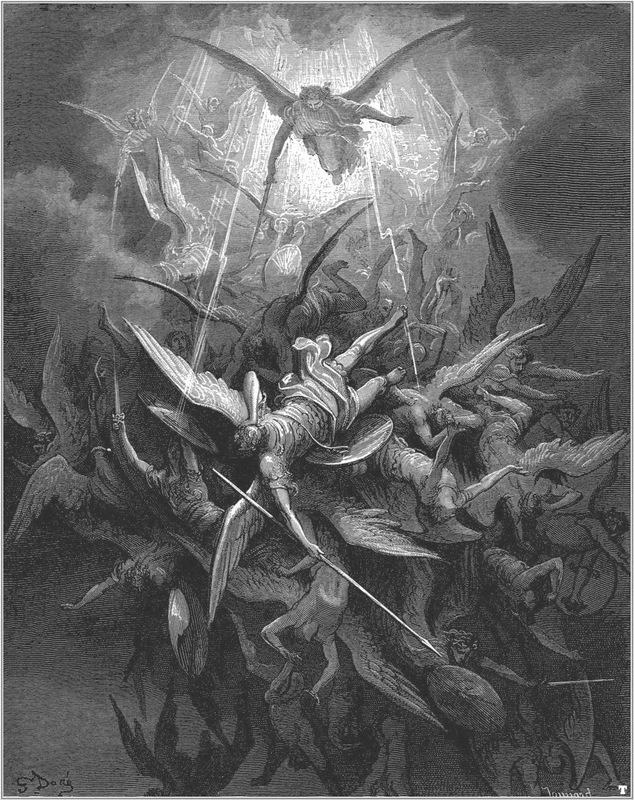 But, on a sudden, they became quite devoid of weight, using their fingers as if they were wings, and so they were raised to a lofty height, like winged birds who traverse the heaven, and they continued at this height until the Hebrews had gained an unquestionable victory, their enemies being slain to a man from the youth upward, and suffering with justice what they had endeavoured to inflict on others, contrary to what was befitting. (219) Then Moses erected an altar, which from the circumstances that had taken place he named the refuge of God, on which he offered sacrifices in honour of his victory, and poured forth prayers of gratitude to God. LXVI. (186) And the war between these things in manifest. At all events, according to the superiority of the mind when it applies itself to incorporeal objects, which are perceptible only to the intellect, passion is put to flight. And, on the other hand, when this latter gains a shameful victory, the mind yields, being hindered from giving its attention to itself and to all its actions. 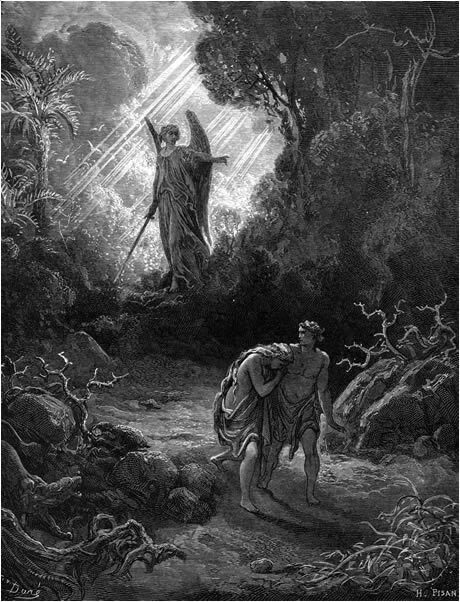 At all events, he says in another place, “When Moses lifted up his hands Israel prevailed, and when he let them down Amalek prevailed.”[Ex 17:11] And this statement implies, that when the mind raises itself up from mortal affairs and is elevated on high, it is very vigorous because it beholds God; and the mind here means Israel. 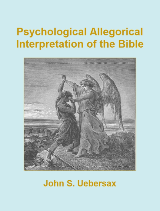 But when it relaxes its vigour and becomes powerless, then immediately the passions will prevail, that is to say, Amalek; which name, being interpreted, means, the people licking. For he does, of a verity, devour the whole soul, and licks it up, leaving no seed behind, nor anything which can excite virtue; (187) in reference to which it is said, “Amalek is the beginning of nations” [Num 24:20]; because passion governs, and is the absolute lord of nations, all mingled and confused and jumbled in disorder, without any settled plan; and, through passion, all the war of the soul is fanned and kept alive. For God makes a promise to the same minds to which he grants peace, that he will efface the memorial of Amalek from all the lands beneath the heaven. (45) “For the hands of Moses are heavy.” [Ex 17:12] For since the actions of the wicked man are like the wind and light, those of the wise man on the other hand are heavy and immovable, and not easily shaken; in reference to which is hands are held up by Aaron, who is reason, or by Ur, who is light. Now of all existing things there is nothing clearer than the truth; therefore Moses intends here to signify by a symbolical form of expression, that the actions of the wise man are supported by the most necessary of all qualities, reason and truth. 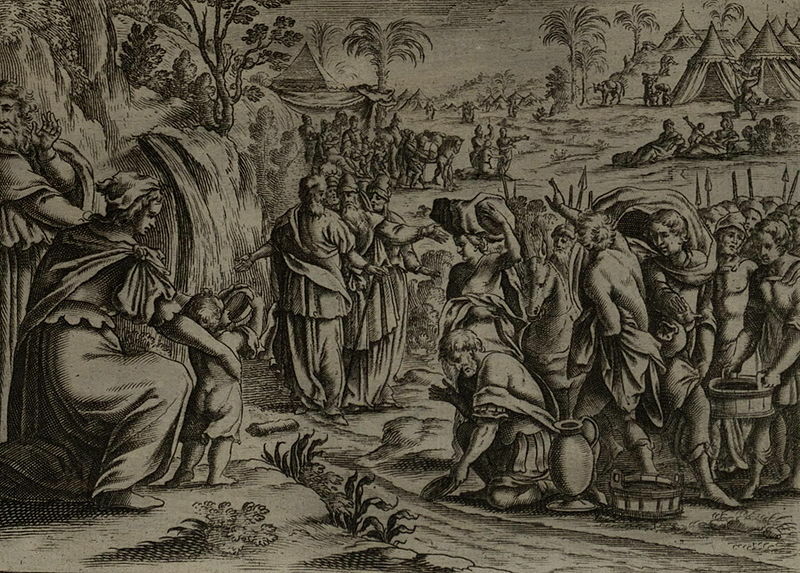 And when they came to Marah, they could not drink of the waters of Marah, for they were bitter: therefore the name of it was called Marah. And said, If thou wilt diligently hearken to the voice of the LORD thy God, and wilt do that which is right in his sight, and wilt give ear to his commandments, and keep all his statutes, I will put none of these diseases upon thee, which I have brought upon the Egyptians: for I am the LORD that healeth thee. And they came to Elim, where were twelve wells of water, and threescore and ten palm trees: and they encamped there by the waters. XXIX. (163) It is for this reason that the law, as it appears to men, was given in a place which is called Bitterness; for to do wrong is pleasant, but to act justly is laborious. And this is the most unerring law; for the sacred history says, “And after they had gone out from the passions of Egypt they came to Marah: and they were not able to drink of the water at Marah, for it was bitter. On this account the name of that place was called Bitterness. And the people murmured against Moses, saying, What shall we drink? And Moses cried unto the Lord; and the Lord showed him a stick, and he cast it into the water, and the water was made sweet. And then he gave him justification and judgment, (164) and then he tempted him.” For the invisible trial and proofs of the soul are in labouring and in enduring bitterness; for then it is hard to know which way it will incline; for many men are very speedily fatigued and fall away, thinking labour a terrible adversary, and they let their hands fall out of weakness, like tired wrestlers, determining to return to Egypt to the indulgence of their passions. (165) But others, with much endurance and great vigour, supporting the fearful and terrible events of the wilderness pass through the contest of life, keeping their life safe from overthrow and from destruction, and rising up in vigorous contest against the necessities of nature, such as hunger, thirst, cold, and heat, which are in the habit of reducing other persons to slavery, and subduing them with great exuberance of strength. (166) And the cause of this is not merely labour, but also the sweetness with which it is combined; for the scripture says, “And the water was made sweet.” But sweet and pleasant labour is called by another name, fondness for labour [philoponia]; for that which is sweet in labour is the love of, and desire for, and admiration of, and friendship for, what is honourable. (167) Let no one, therefore, reject such affliction as this, and let no one think that the table of festivity and cheerfulness is called the bread of affliction for injury rather than for advantage; for the soul which is rightly admonished is supported by the doctrines of instruction.